Good book. I took a break from Jodi Picoult for awhile... love her books, but they all feel the exact same, so needed a break. This was a good one to come back to. Loved the story, and in the way of Jodi Picoult, loved the ending. Not the expected ending, but left every end tied with room for a lot of reflection. Thanks Jodi. Well done as always! This was a excellently written book. I really liked how the story of The Holocaust and the people that survived and lived there during WWII was written as a story within a story, and portrayed the atrocities of the concentration camps. This was a good book. I really liked the story of Germany and how the people that lived there were brought into the Nazi fold. It was a kind of brainwashing, almost cultish. The story within a story was also very good and mirrored the atrocities of the concentration camps. I could not sit and read this book without taking time to stop and "rest" as it were while reading the account of the holocaust. Its emotional and heavy and, well, amazing, I thought. I've loved all her books but I think this is my favorite. 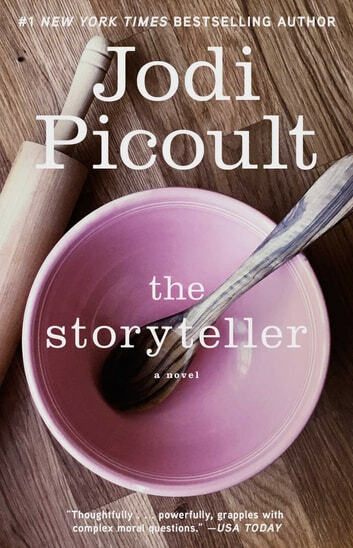 I have read many of Jodi Picoult's novels - this was my favourite. The descriptions were so vivid - at times leaving me uncomfortable - which is how one should feel when acknowledging the very real pain endured by millions of Jewish people during the war. Highly recommend this read.